The drinks and retail industries have been accused of deploying “dirty tricks” in an attempt to derail Scottish Government plans to introduce a deposit scheme for drinks containers. The Scottish Environment Minister, Richard Lochhead, is considering introducing 10p or 20p deposits on plastic, glass and metal containers for softs drinks, water and alcohol. People would get their money back when they returned the containers to retailers. Lobbyists set up the Packaging Recycling Group Scotland in 2014 to fight against the scheme. It has 34 members, including Coca Cola, A G Barr, Red Bull, Britvic, Tennant Caledonian, the Scottish Retail Consortium, Tetrapak and other packaging companies. According to Clarissa Morawski, director of Reloop, a Brussels-based anti-waste group, beverage producers and retailers spend “millions” worldwide on consumer campaigns to try and get across their message that deposits are an inconvenient new tax. Now they have turned their attention to Scotland, she warned. “Coca Cola, other drinks companies and big retailers are seeking to persuade the Scottish Government to back down on its plans for a deposit scheme,” she said. Last week the campaign for a deposit scheme in Scotland, ‘Have You Got the Bottle?’ took environmentalists, retailers and The Ferret to Oslo to see how the scheme worked there. The campaign is funded by the Norwegian waste collection firm, Tomra, which makes “reverse vending machines” to take drinks containers for recycling in shops. The company vice president, Thomas Morgenstern, said that drinks companies had strongly opposed deposit schemes in several countries, with over 7,000 lawsuits in Germany. He called on Scotland to resist them. He pointed out that 14 countries had different types of deposit systems, and many had return rates of greater than 80 or 90 per cent and strong public support. 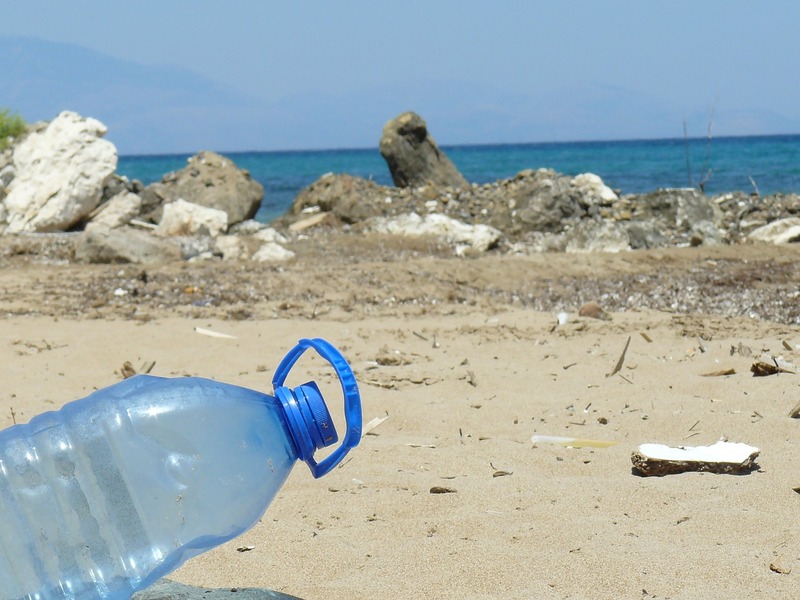 Seven years ago the Scottish Parliament passed the Climate Change Act, including provision for a national deposit return system (DRS), under which consumers pay a small deposit on drinks bottles and cans, fully refunded on return. This hasn’t been introduced yet, but the Scottish Government is seriously considering it, so there’s a real opportunity now for Scotland to lead the way once more. Our ‘Have You Got The Bottle?’ campaign calls on all political parties to support a DRS in their manifestos for the May Holyrood elections. And it’s not just us that thinks this – 12 other organisations representing nearly 200,000 people support our campaign. Many countries, from Croatia to California, have a DRS. As well as tackling climate change it brings other benefits, particularly cutting litter. Many people recycle to do the right thing, but others can’t be bothered. Paying a deposit means they’re throwing their money into our fields and verges, and we know from elsewhere in the world that a DRS changes behaviour. Litter makes our towns and countryside less pleasant to live in, and puts visitors off too. Scotland is promoted as a clean green place to visit, but that’s undermined if visitors see beaches or picnic sites strewn with cans and bottles. However, last week on a visit to Norway, which has had a DRS for 17 years, I saw no drinks container litter anywhere, in the countryside or in the towns. A DRS would generate jobs in Scotland’s recycling industry by ensuring that more containers of better quality get recycled rather than being mixed up in kerbside recycling. As more stuff gets recycled, fewer valuable raw materials are wasted in landfill. The Climate Change Act also included provision for a carrier bag charge, which was introduced in 2014. When it was proposed, industry described it as “a frivolous distraction”, and fought it all the way. Six months later, disposable bag use had fallen by more than 80 per cent, helping tackle both litter and waste. It’s become a normal part of life, as a DRS will too. Some packaging and drinks manufacturers oppose DRS, confusingly often the same companies which operate successfully in other countries where a DRS works well. They know a DRS can be self-funding, but they fight it anyway. You may hear them propose grand-sounding schemes that only amount to a bit more advertising and publicity – that’s how they’ve resisted progress elsewhere in the world. We want a clean, modern, progressive Scotland, with more jobs and less waste and litter. The drinks industry knows DRSs work well elsewhere, but they’d rather not bother. They’re hoping Scottish Ministers haven’t got the bottle. I believe they’ll be proved wrong. We all have a shared interest in Scotland in boosting rates of recycling and reducing littering. The only question is how best to go about it. The Scottish Government has been considering the impact of the introduction of deposits on drinks containers. This means retailers would have to charge shoppers perhaps 20p for a range of drinks – on a multi-pack it would mean a significant price increase for consumers. The deposit would of course be refunded if the shopper collected the empties and took them back to the shop. But would people go to the inconvenience? Evidence-led policy is something that all political parties and governments aspire to and in this case the evidence is negative. The experience of AG Barr bears this out. They ceased their deposit system last year when only one in two of Irn Bru bottles were being returned. The idea was raised in the SNP’s 2011 manifesto, which committed to trialling deposit return and reverse vending systems. In 2013, nine trials were funded up to a total value of £900,000. Only one of them, at Heriot Watt University, charged a redeemable deposit. Despite intensive communication support, the return rate was only 38 per cent. The reverse vending machines had high downtime and at one of the sites two of the four machines never worked, despite engineers being brought in from overseas. The trials clearly indicated that people are not supportive of deposits and return. The net effect was simply an increase in the price of every day products, which of course would always bear down hardest on already pressed low-income households. In December 2015 major retailers asked thousands of customers about deposit return. More than 90 per cent said it would be less convenient than household collections by local authorities and will not increase the amount they recycle. Even if some people return empty drinks containers, a deposit scheme would divert income from existing local authority recycling systems. To superimpose a deposit in countries like Scotland that have nationwide recycling systems is just pointless – much better to keep improving the recycling system. It would also disadvantage small shopkeepers who could not afford expensive reverse vending machines and therefore would have to redeem deposits at the checkout and find some way of storing returned containers. A much better solution is to build on the existing recycling system and the Clean up Scotland campaign. That is what the Packaging Recycling Group Scotland (PRGS) is offering. PRGS is an unprecedented group of 34 companies and organisations and we are ready to work with local authorities and NGOs to strengthen existing recycling and anti-litter initiatives for the benefit of all. Rob Edwards visited Oslo in February 2016 as a guest of Tomra but the company had no editorial control over this article. A version of this story was published in the Sunday Herald on 14 February 2016. The weirdest thing about all of this is that the Reverse Vending Corporation who make machines capable of running such a scheme are opposing the campaign – specifically because of its small funding from one of their competitors Tomra. I had some grief from them after I innocently shared someone’s home movie of them using a Tomra machine. I didn’t know it was a Tomra made machine. I don’t know enough about these things to be able to tell. Subsequently they blocked my employer’s Twitter account even though it had had no interaction with them. Presumably because my employers back the Have You Got The Bottle campaign. It comes across as “you are sponsored by a competitor so we are going to stop this and kill off any market for our own machines in the process”. I wonder who is advising them on this? Meanwhile Keep Scotland Beautiful is opposing deposit return, but at the same time entered into a partnership with Coca Cola. The official KSB position is that there is insufficient evidence that a scheme would reduce litter. The Coop is also opposing it in spite of their environmental credentials. What we are really seeing here is competing commercial interests putting themselves above the environment.